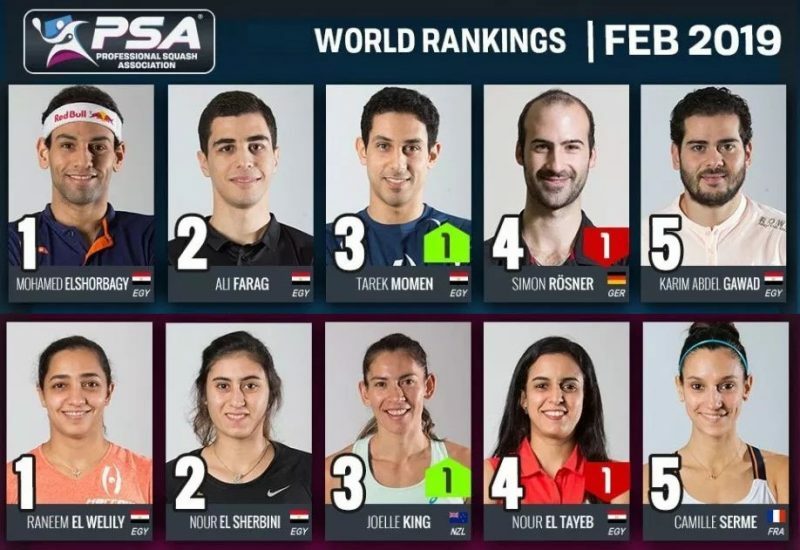 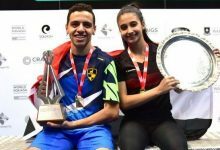 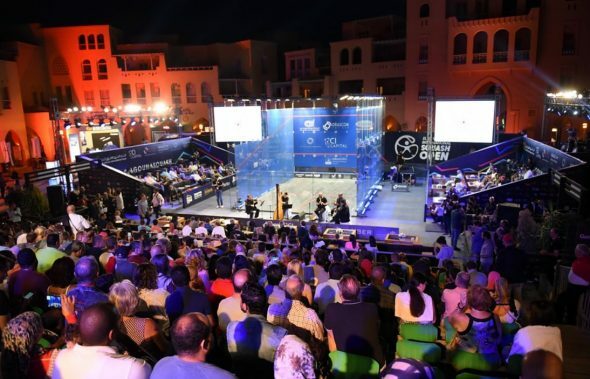 Raneem El Welily and Marwan ElShorbagy are the 2018 El Gouna International champions after they beat Nour El Sherbini and Ali Farag in an all-Egyptian finals line-up at the PSA World Series tournament held in El Gouna’s marina. 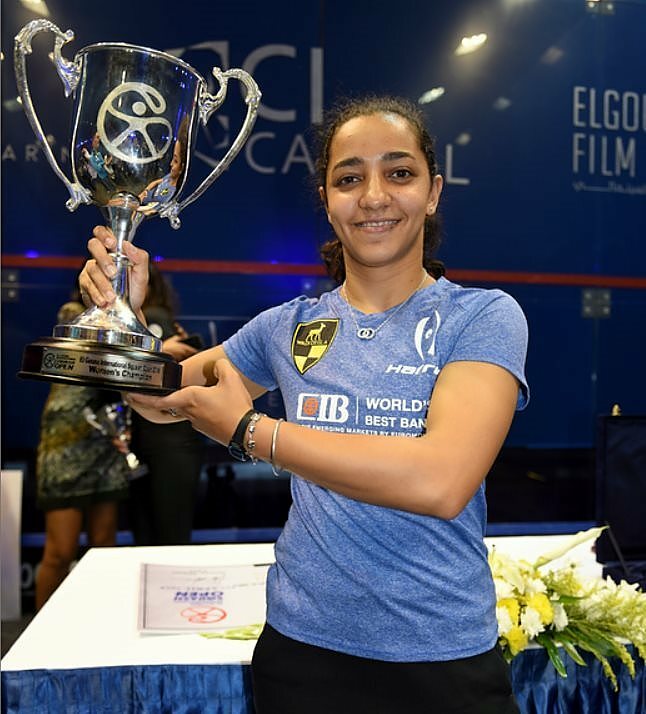 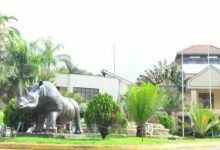 El Welily came back from a game down to avenge her defeat to El Sherbini in the final of the PSA Women’s World Championship 12 months ago at this very venue. 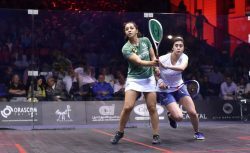 The Alexandria-born 29-year-old played some spell-binding squash to go 2-1 up and five match balls up in the fourth before nerves kicked in and she began to find the tin with her shots, resulting in El Sherbini fighting back to force a tie-break. 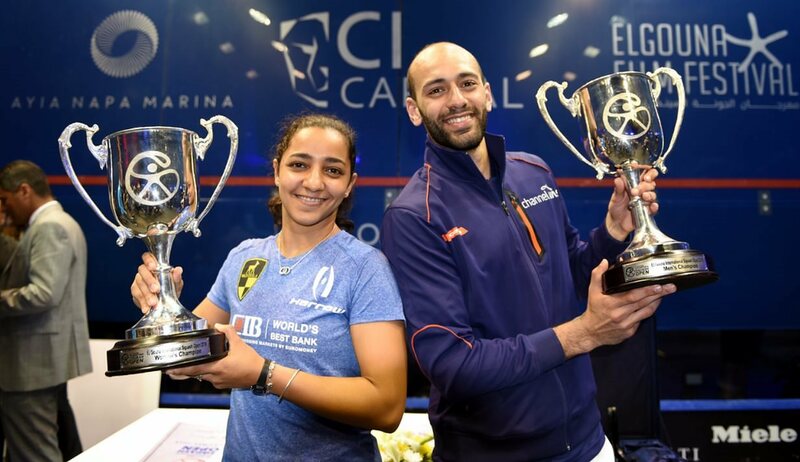 However, a crucial tin from the two-time World Champion handed the initiative back to El Welily and she converted this time to get her hands on the title courtesy of an 11-8, 11-5, 11-4 victory. 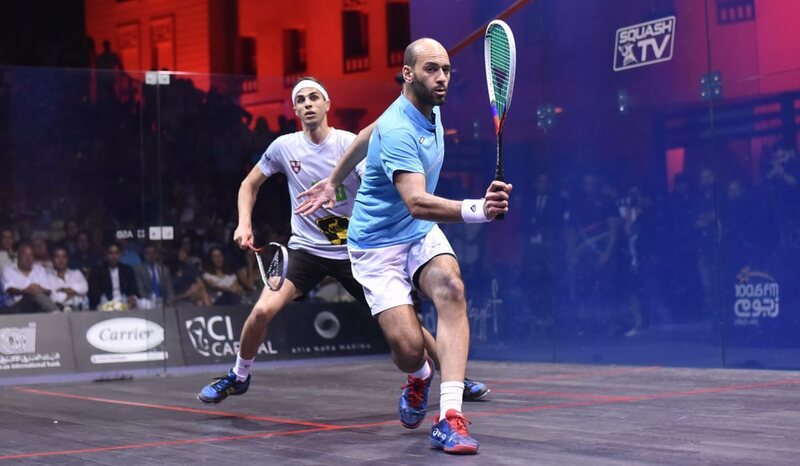 “What a match that was, Nour played fantastic and was fighting back all the way to the end,” said El Welily. “Even at 10-5 down at the end she wasn’t letting go all the way to 11-10. 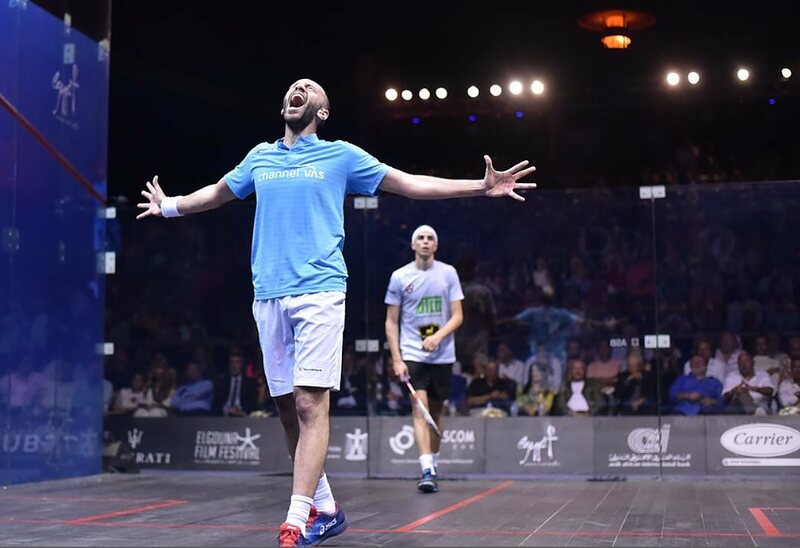 I still can’t believe that, last time it happened I lost that match. 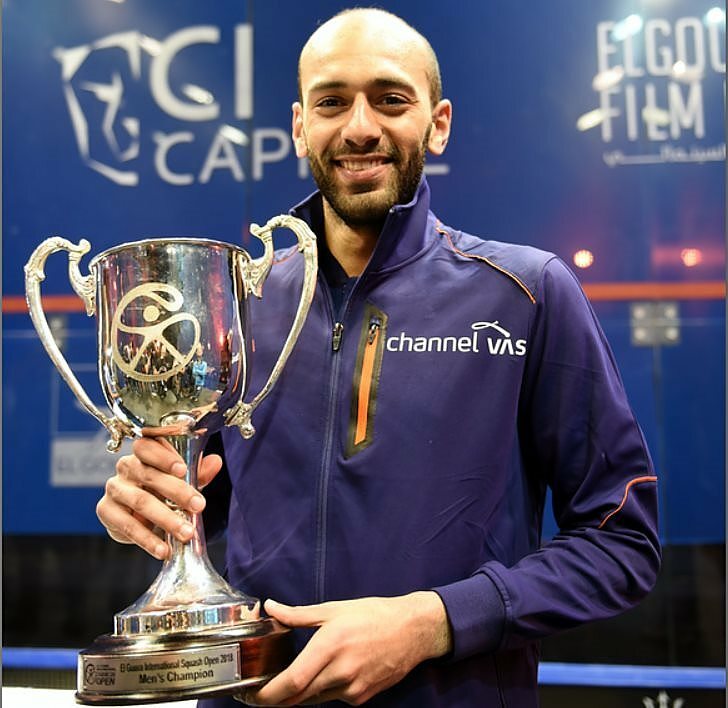 Meanwhile, ElShorbagy lifted the first World Series title of his career after he blitzed past Farag to complete a 3-0 victory in just 39 minutes. 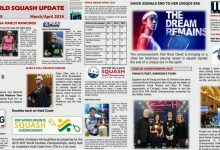 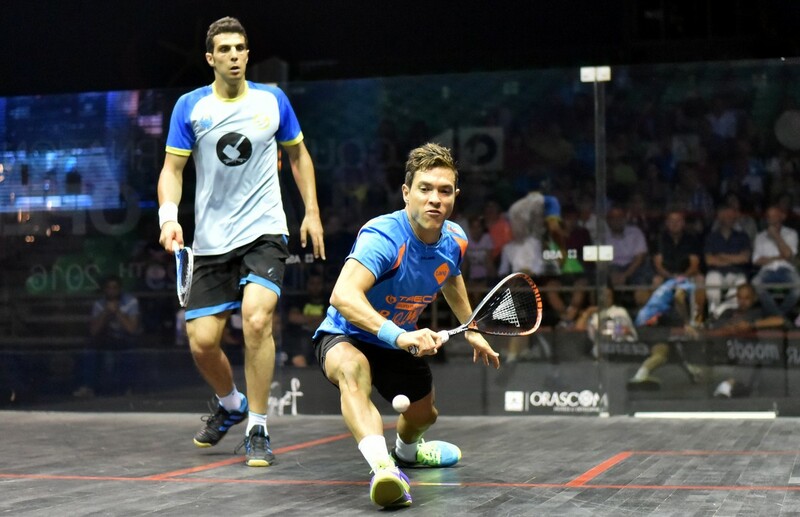 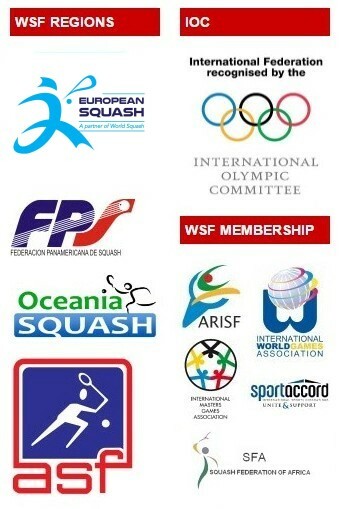 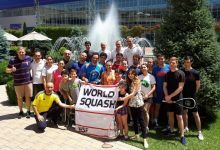 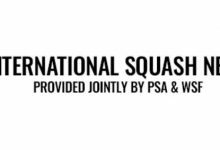 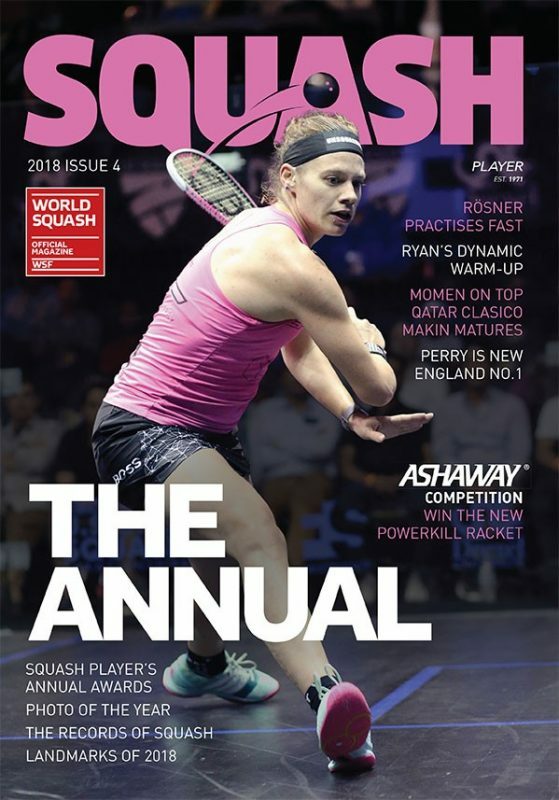 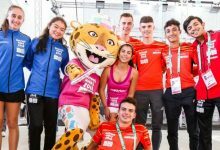 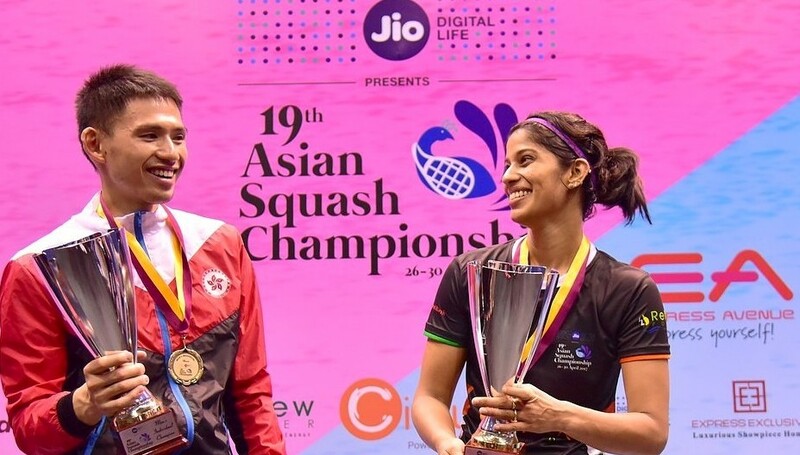 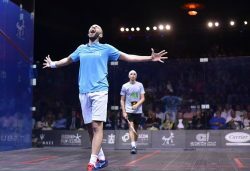 The 24-year-old had won three of their five matches on the PSA World Tour, with all of their previous meetings coming in semi-finals, including in the last four of December’s PSA Men’s World Championships where ElShorbagy came through a dramatic five-game, 75-minute thriller. 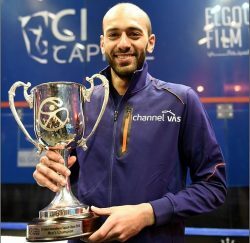 But ElShorbagy was rarely troubled by an out-of-sorts Farag tonight as he dominated the U.S. Open champion and played an impeccable match of squash, outclassing his compatriot to take an 11-8, 11-5, 11-4 victory to win a World Series final at the third attempt, joining his brother on the list of El Gouna International tournament winners in the process. 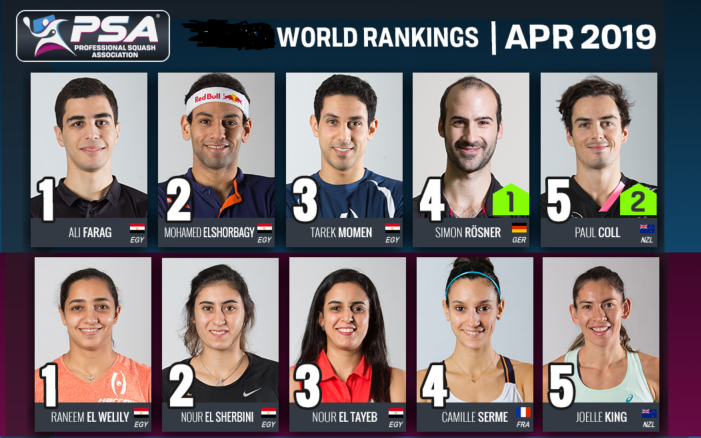 “To win my first ever World Series title here in Egypt means a lot to me,” said ElShorbagy, who will overtake France’s Gregory Gaultier to move to a career-high World No.3 ranking on May 1. “Especially to win it here at home means the world. 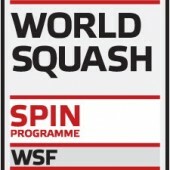 I’m so happy, I’m over the moon and I can’t even describe how I feel.